Have you ever experienced tooth sensitivity when exposed to hot or cold temperatures? In some cases,extremely painful sensitive teeth can signify that an infection has occurred. 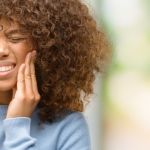 If you’re suffering tooth sensitivity or pain, you may be wondering if you are experiencing symptoms of tooth infection, and what your treatment options look like. 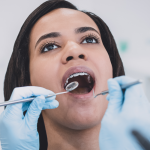 Below, you’ll learn the difference between an infection and an abscess, the symptoms of tooth infection, and how to know when it’s time to head to the dentist. An abscessed tooth is an infection inside the tooth that spreads to the root. An abscess forms when the tooth loses its ability to fight off infection. Bacteria invade the tooth’s inner pulp chamber and multiply. Within this pulp chamber are the live parts of the tooth: the blood vessels and nerves. You experience a painful toothache because the infection has spread to your tooth’s pulp. How is a tooth abscess caused? A tooth abscess is commonly caused by tooth decay. 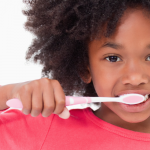 Tooth decay is the destruction of the tooth enamel by plaque. Plaque is a sticky film of bacteria that is constantly forming on the teeth. Whenever we eat or drink foods containing sugars, the bacteria essentially “eat” that sugar, a process which secretes an acid that is harmful to the teeth. If dental decay has become so deep that it reaches the pulp chamber, an inflammatory process begins. At a certain point, the irritation to the pulp caused by this infection is characterized as irreversible. Reversible pulpitis means that the pulp is inflamed but has the chance to recover, while irreversible pulpitis means that the pulp is dying. Once the pulp is dead, an abscess (or pocket of pus) can develop. This means that the infection can now spread from the tooth to the gum and into the jawbone. It’s important for patients to understand that the only way such an infection can be stopped is through dental intervention. Open up and drain the abscess: The dentist will make a small incision into the abscess to let the pus drain out. The area will then be washed out with salt water. Prescribe antibiotics for tooth infection: If the infection is limited, antibiotics may not be necessary. But when it has spread to the jaw or other teeth, antibiotics are usually necessary to prevent it from progressing further. Perform root canal treatment: Root canal treatment is an extremely effective procedure to eliminate infection and save your tooth. The process involves removing the diseased pulp tissue and draining the abscess. Once the tooth is cleaned out to prevent subsequent infection, the endodontist fills the pulp chamber and seals off the tooth. The tooth may also be capped with a crown to keep it strong. A restored tooth can last a lifetime when it is cared for properly. Tooth extraction: Only in severe situations, when the affected tooth cannot be saved through root canal treatment, the dentist will pull the tooth. After extraction, it is usually necessary to replace the tooth to prevent other teeth from shifting to fill in the gap as well as for aesthetic purposes. A dental implant is generally considered the best option for replacement, but people who cannot receive the implant can also consider a bridge or dentures. If you have some of the tooth infection symptoms listed above, you need to be seen by a dental professional as soon as possible. As we’ve seen, the symptoms of tooth infection only grow worse until it becomes an abscess. 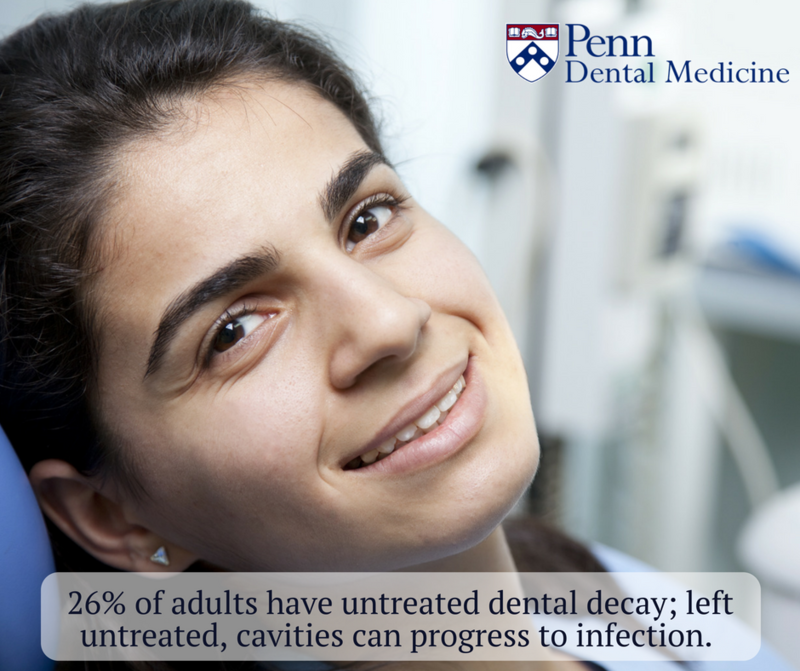 Penn Dental Medicine dentists have the tools necessary to provide effective treatment, but it’s up to you to take action about your tooth infection. We advise against waiting until it’s so severe that you need to go to the emergency room. 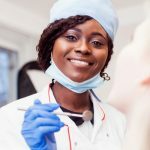 ER dentists are only able to provide treatment to take care of the immediate problem, which does not always address the underlying causes of infection. When you think you may need an emergency dentist, please call our office at 215-898-8965 and explain your symptoms. We can advise you about what to do in the interim until you’re seen by an endodontist, or if it’s truly an emergency, we’ll encourage you to go to the University of Pennsylvania hospital for immediate care.